A 7-day Cycling Festival Across California! 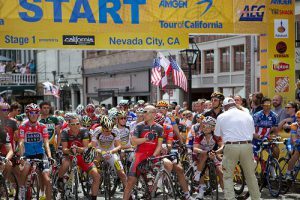 Come to California to ride the same race route as the AMGEN Tour of California Stage Race. Our formula for this California bike tour is to leave two to three hours in front of the race on the closed public roads. So in essence we surf a wave of anticipation into the next town as we are literally chased by the pro peloton. The spectators cheer & ring bells while we are climbing the passes and across the flat sections we work together to conserve energy. This unique experience delivers excitement not normally experienced on your regular home bike ride! 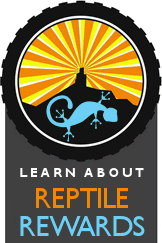 Join Lizard Head Cycling Guides for a celebration of cycling across the state of California out in front of the AMGEN Tour of California Stage Race. We are currently taking reservations for tour that rides along with the 2019 AMGEN Tour of California. Please reserve now as this tour typically sells out early! Total Mileage: 450-600 miles over 7-days of cycling. Expect to average 85 miles per day with plenty of climbing. Lower daily mileage options will be available. Tour Cost: $3,450 per person. Single Room Supplement: Add a total of $590 to the Tour Cost for private rooms on each night of this tour (6 nights). Tour Includes: 6-nights of lodging (to be announced), 7-days of meals, high performance rental bike, guide service, entrance fees, daily lunch en route, energy food, liquid refreshments, Lizard Head Cycling jersey, and mechanical support. Alcoholic beverages and massage therapy are additional. Please Note: We are currently working on accommodations and we will update this list with more information soon. When the routes for the 2019 AMGEN Tour of California are announced, more information on the itinerary will be posted here.